Ashley and Calvin stood behind their orange shopping cart, arms touching but eyes fixed on their smart phones as they waited for the one Big Lots cashier to work her way through a line of 20 customers. Ashley sighed. He was right. The ramen noodles, no-name laundry detergent, and scratchy toilet paper in their cart were a testament to their lack of funds. She swiped and clicked the phone’s touchscreen, looking for budget Halloween festivities. 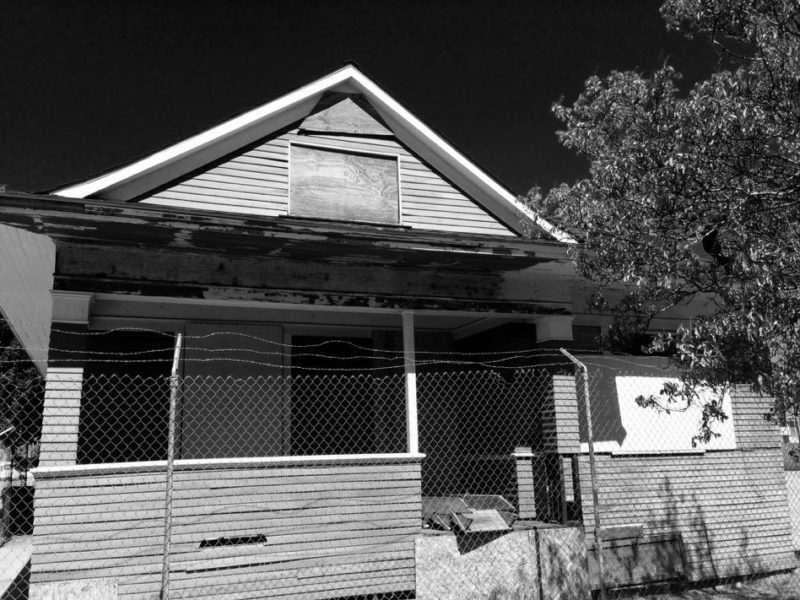 The house was a shell of neglect, its yard a wasteland of dried up plants and fast food wrappers. Sandwiched between two derelict warehouses, it smelled faintly of burning trash. Calvin shivered. “This is stupid, Ash, let’s go home,” he said, but she just smiled and scrambled through a hole in the fence to stand on the porch. “Take my picture, honey,” she said. The front door creaked open. Ashley screamed as a man’s dark silhouette covered her and disappeared into the house. Heart pounding, Calvin ducked through the cut chain-link and ran through the door. A second man stood in the shadows, light glinting off of the gun he held.